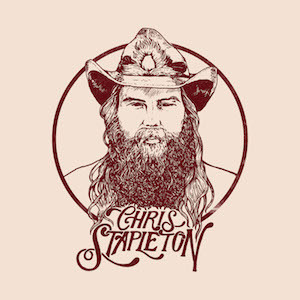 Chris Stapleton’s new song, ‘Second One To Know,’ premiered late last week following the release of ‘Last Thing I Needed, First Thing This Morning’ ‘Broken Halos,’ all from Stapleton’s highly anticipated new album, From A Room: Volume 1, which will be released May 5 on Mercury Records Nashville / Decca Records. The album is now available for pre-order digitally and with physical bundles. Each digital pre-order comes with an instant download of “Broken Halos.” The highly anticipated full-length record is the first new music from Stapleton since 2015’s breakthrough double Platinum solo debut Traveller and will be followed by From A Room: Volume 2—coming later this year.